Sudocrem Antiseptic Healing Cream has been used and loved by families since 1931 and it’s great for soothing sore skin and treating nappy rash. Our product is versatile enough to be used by the whole family for cuts & grazes, acne, eczema, sunburn, minor burns, bedsores and chilblains. But Sudocrem is so much more than just the grey tub…. 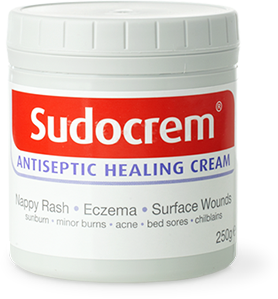 Sudocrem Antiseptic Healing Cream is a licensed medicine. Sudocrem Care &amp; Protect is a medical device. Sudocrem Skin Recovery Cream is a cosmetic.